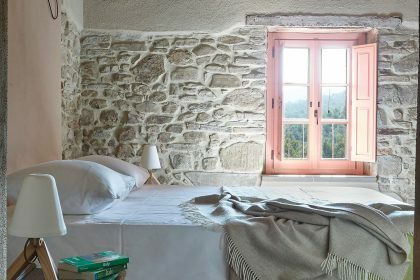 My children were in heaven - and so were we. 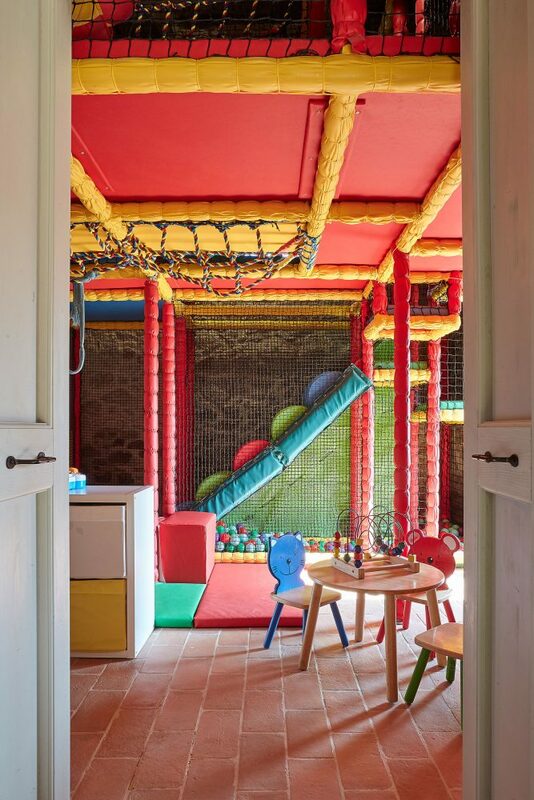 Who'd have thought a house with soft play could be so stylish? 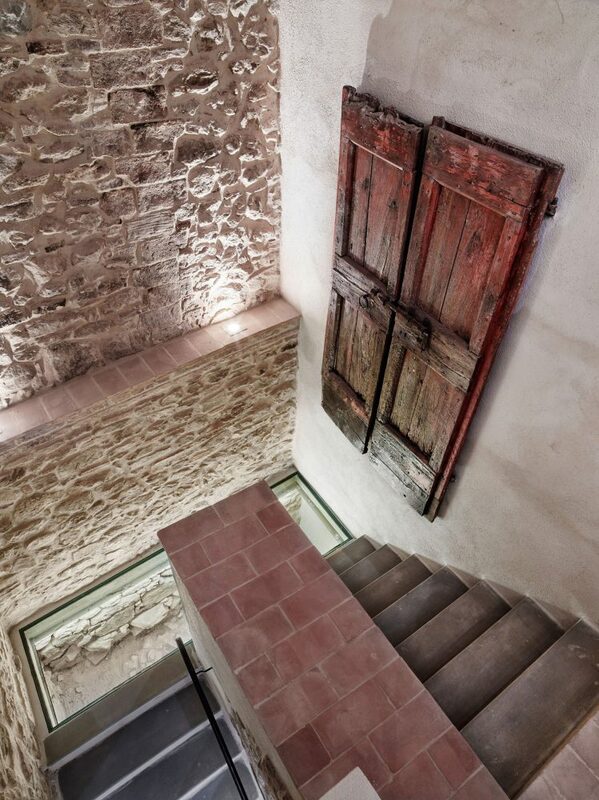 This house is one of a kind! 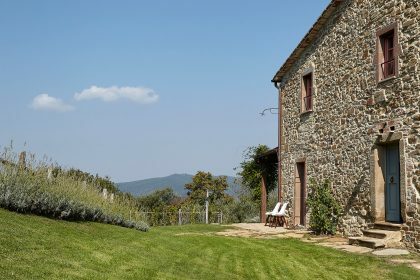 Car hire is essential. 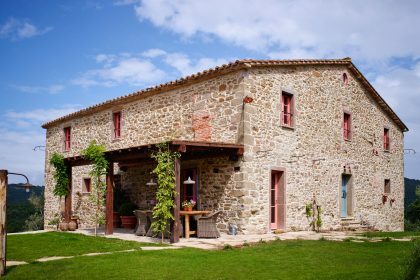 Small or low-slung cars are not recommended due to the rough track up to the house. 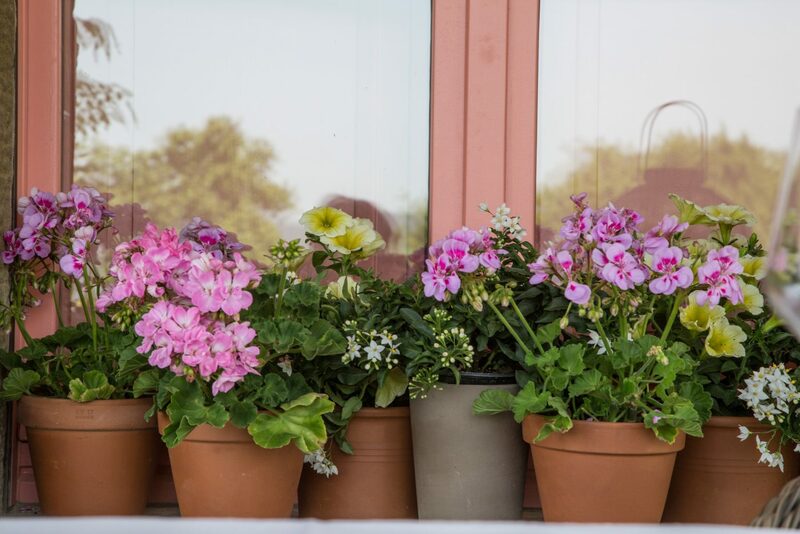 We would suggest larger, more sturdy cars – or even a 4×4. 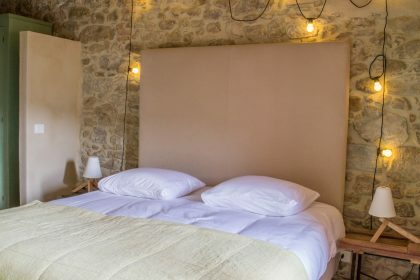 Piegaro is a 10 minute drive and is a sleepy medieval town with some shops (restaurant, butcher, bakery, small grocery), bars, pharmacy, bank and a church. 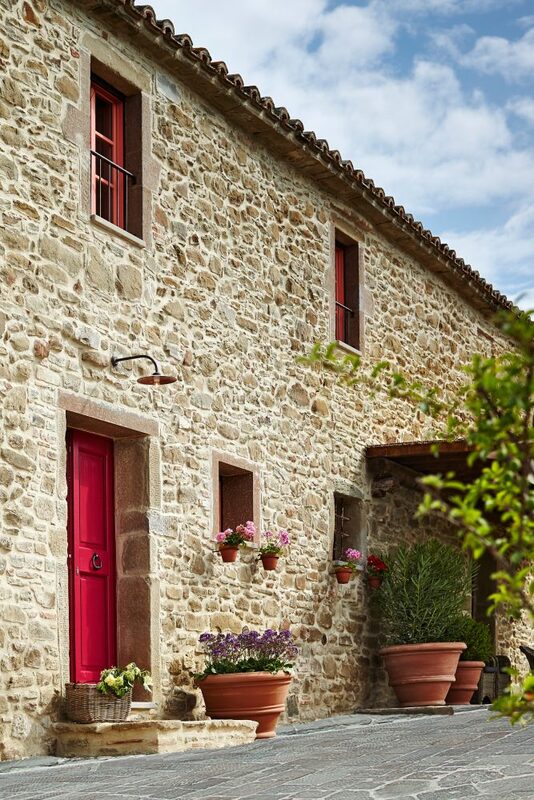 Tavernelle di Panicale on the way to Perugia is better for stocking up as it has a supermarket. 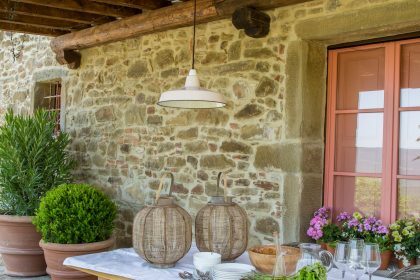 Piegaro has a couple of restaurants, although a wider range of delicious restaurants can be found in Citta della Pieve, Panicale and Castiglione del Lago. 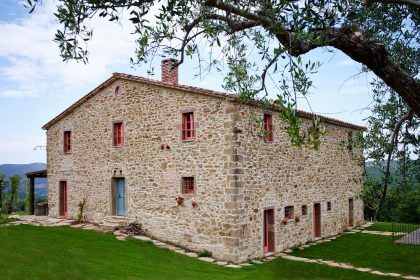 There is so much to do in the immediate area, the small local village has a museum of ancient glass making, a museum celebrating the life of a local paleontologist and some good restaurants and bars. 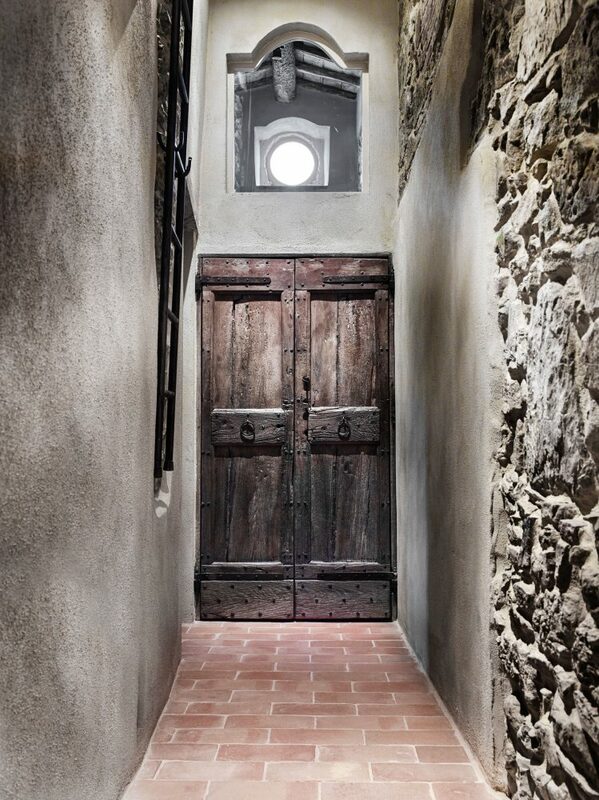 Panicale also has a small opera theatre the ‘Teatro Cesare Caporali’. 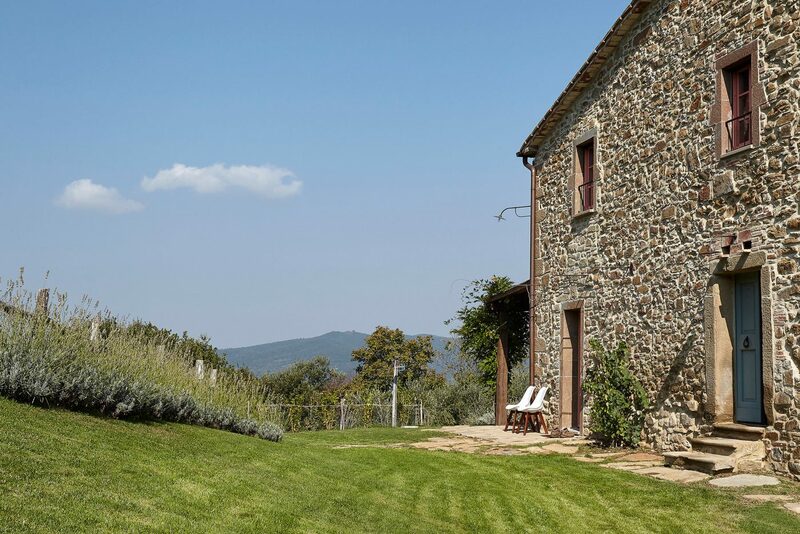 The area is well known for its wine production – visit Orvieto or Montepulciano to sample wine and eat delicious local delicacies. 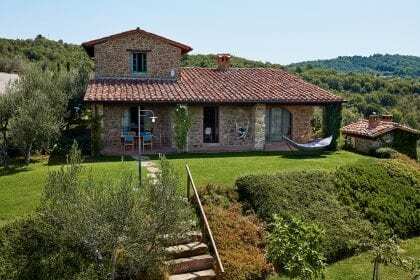 Lake Trasimeno is 25km away, where Umbria spills over into Tuscany. 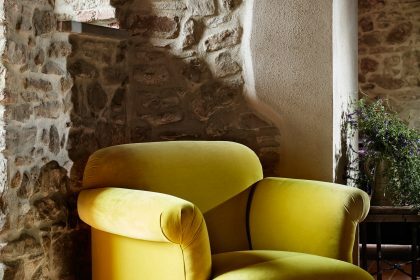 Italy’s fourth largest lake is a prime spot if you want to tiptoe off the well trodden trail and slip into the slow rhythm of lake life. 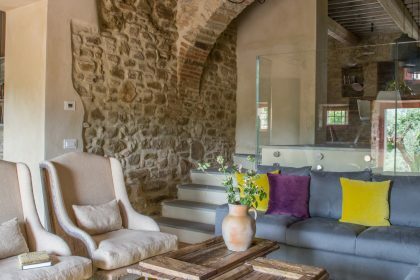 Around this 128 sq km lake, olive groves, vines, woods of oak and cypress and sunflower fields frame castle topped medieval towns, such as Castiglione del Lago and Passignano. 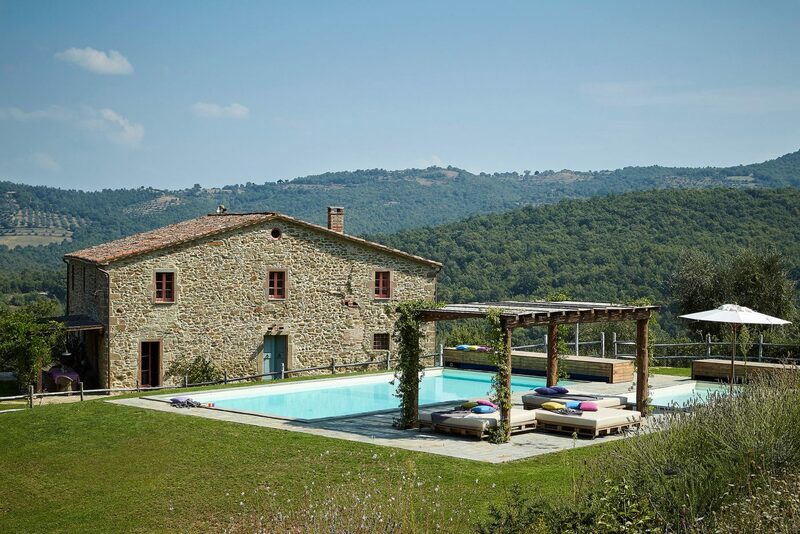 You can swim from the lakeside beach at Castiglione del Lago. 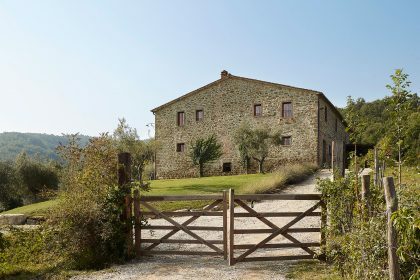 The interesting town of Citta della Pieve is only 13km away from the villa. 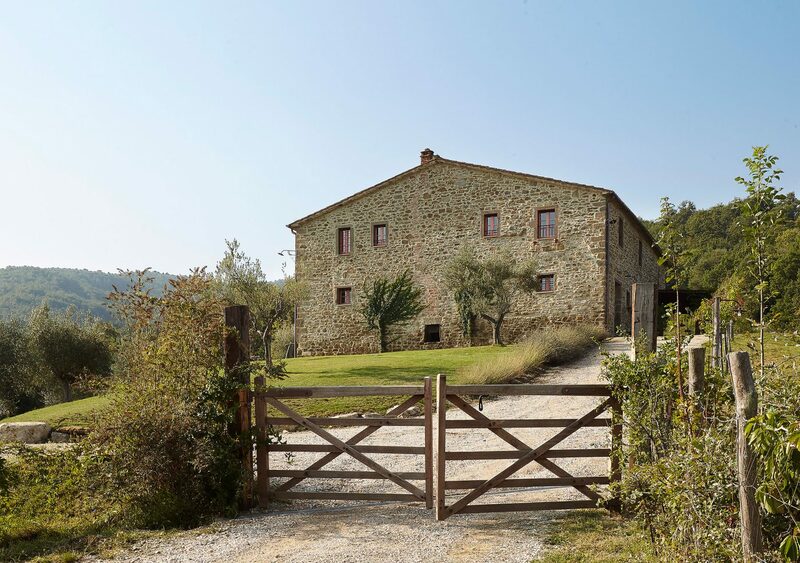 Famous for being the birthplace of 2 of Italy’s greatest Renaissance artists (Perugino being the more famous of the 2) – works by both artists can be found in St Maria and St Antonio churches. 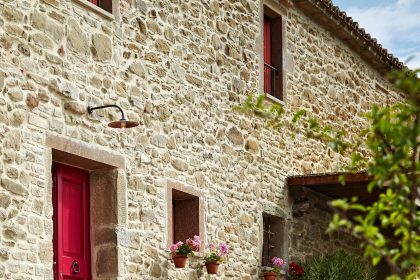 The town is small and has most of its medieval town wall intact. 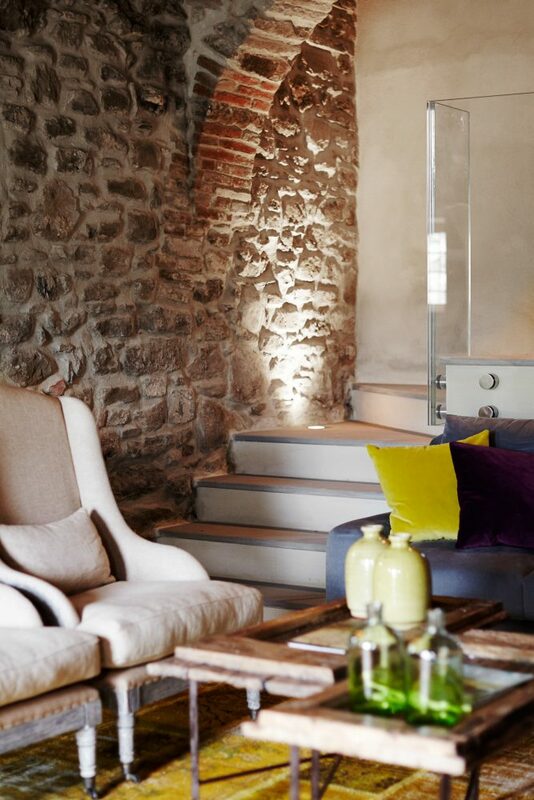 It boasts an 11th century tower and an impressive medieval castle. 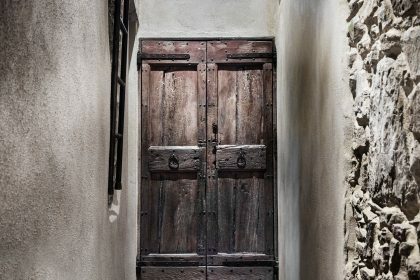 The labyrithine alleys date back to medieval times and the picturesque nooks and corners, steeped in memories and emotions are still full of life today. 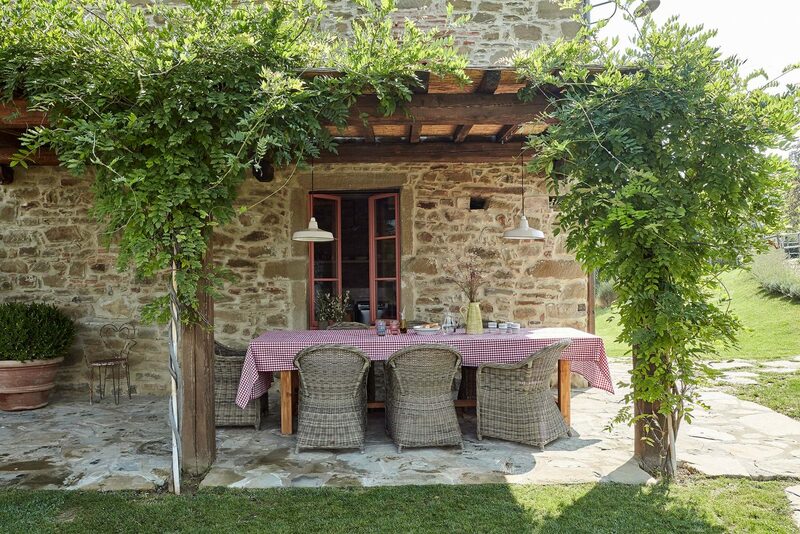 Enjoy the Nonna sitting outside her small house playing top trumps with her grandson or make the most of the beautiful girls who arrive on their Piaggios to have a latte mid morning in one of the many cafes. 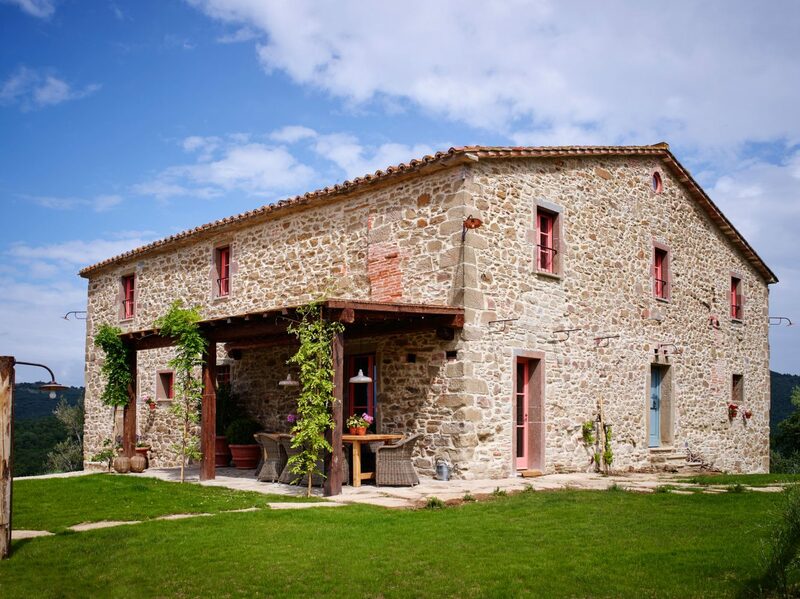 Around the property you can do amazing hikes and mountain biking. 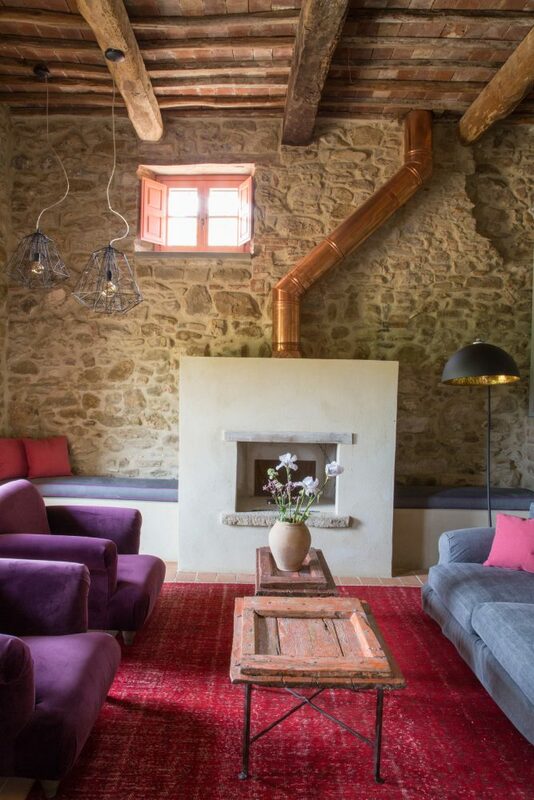 We visited this house in the Autumn and were completely thrilled with what we found. 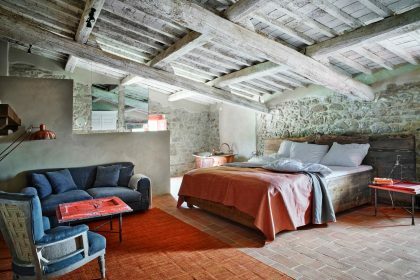 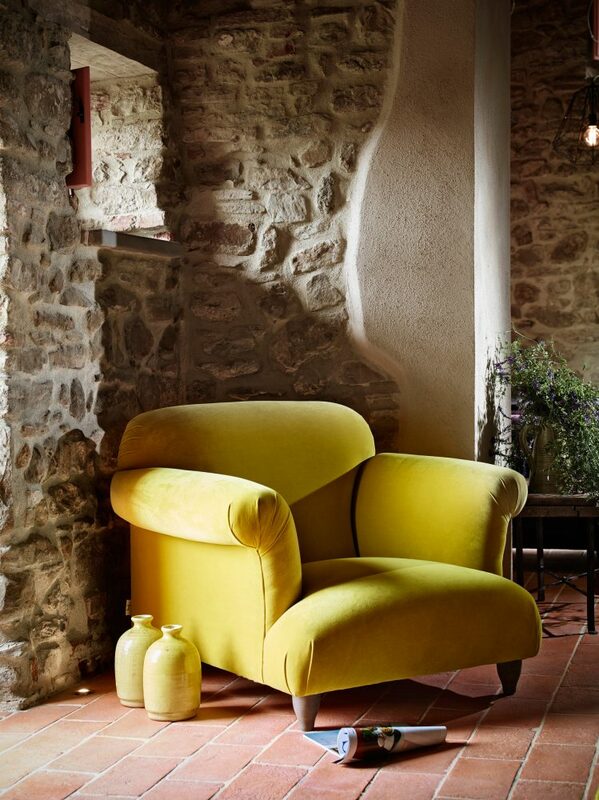 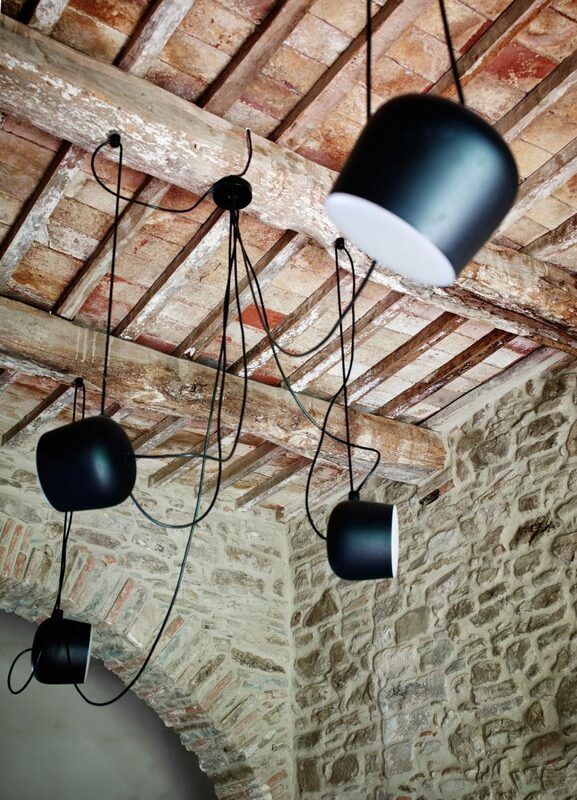 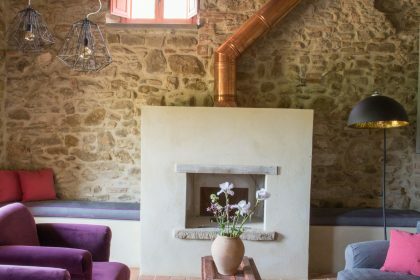 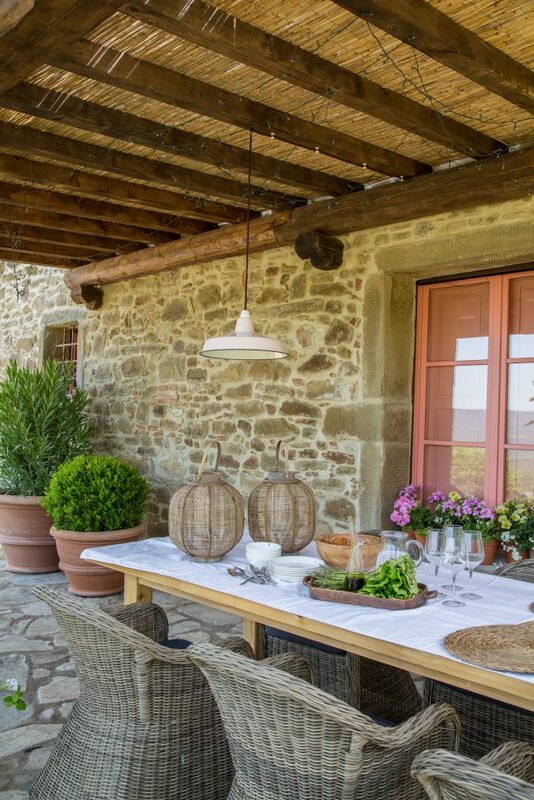 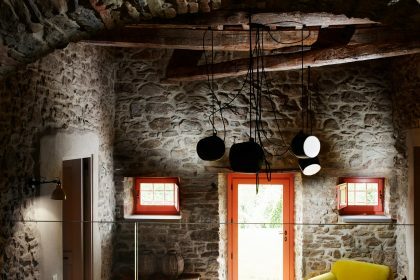 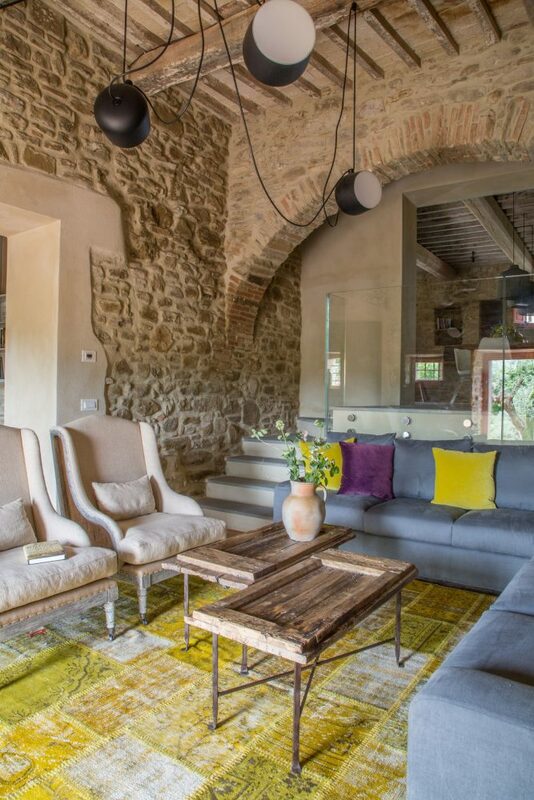 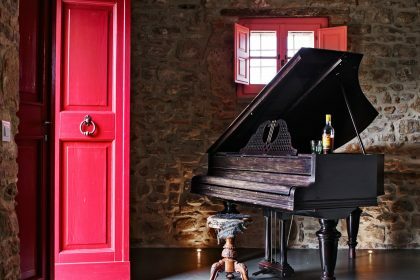 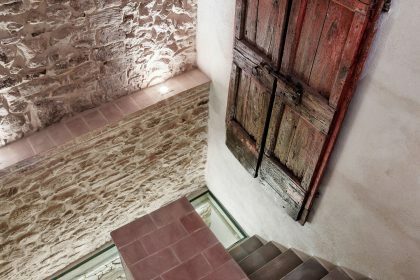 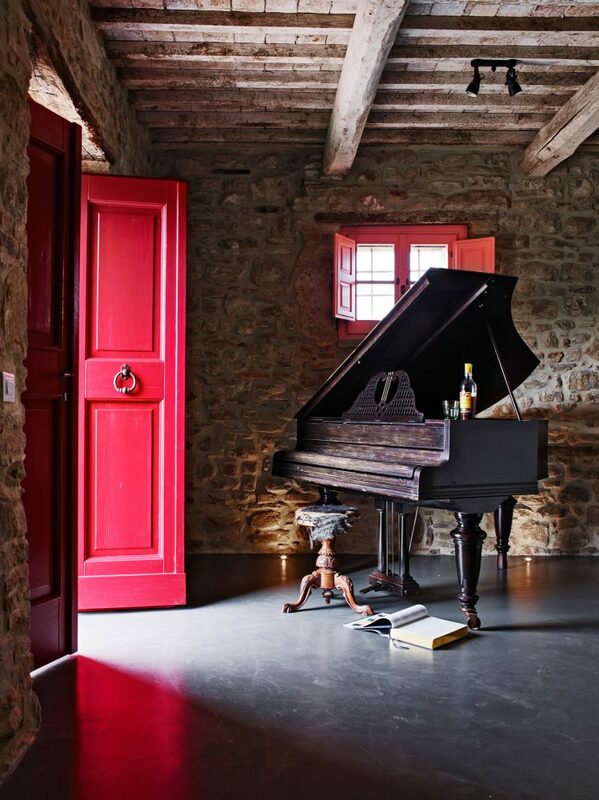 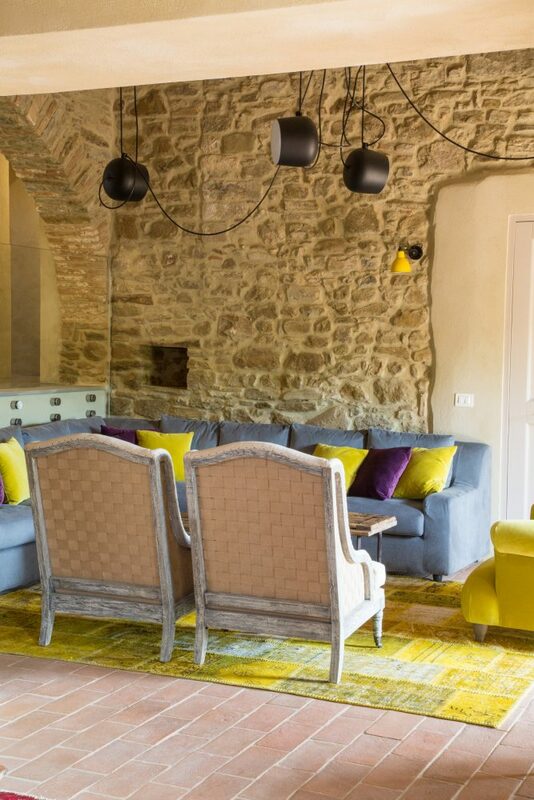 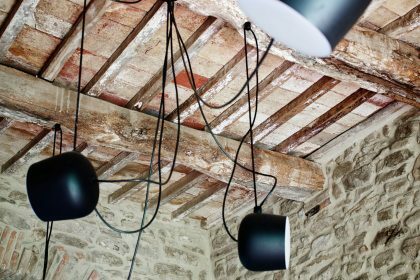 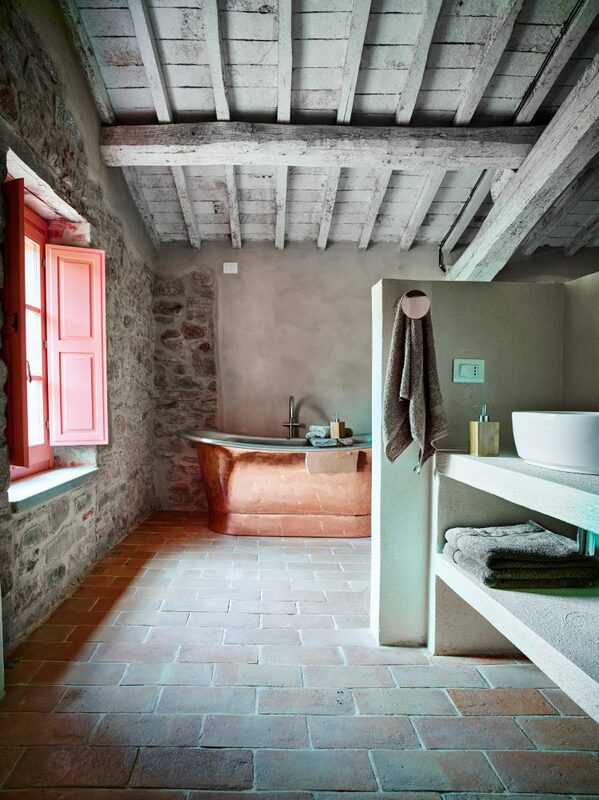 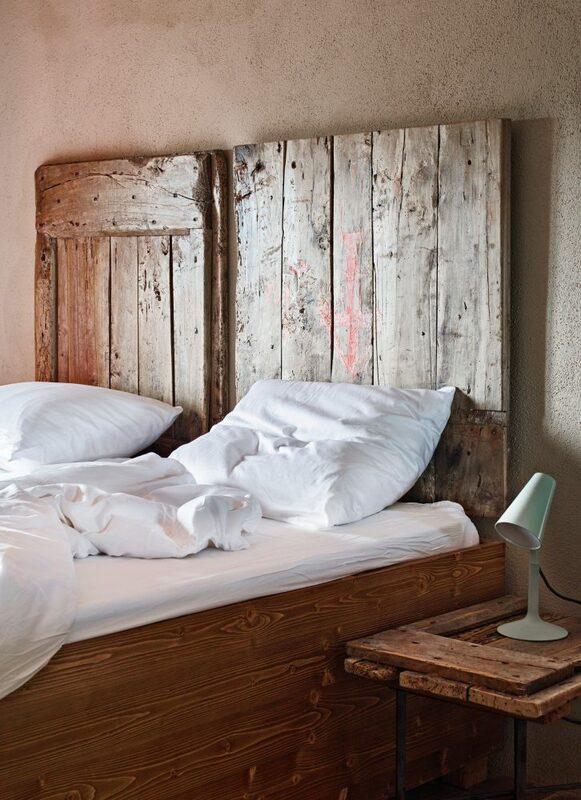 This recently refurbished, traditional Umbrian farmhouse has real style. 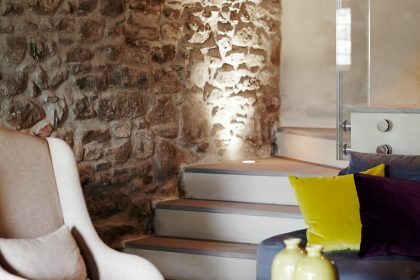 The careful transformation of a 16th century building into a modern retreat, complete with all mod cons is as complete as ever we have known. 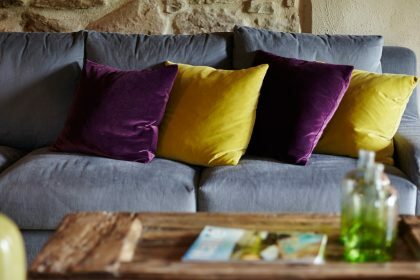 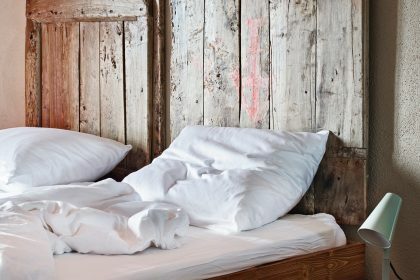 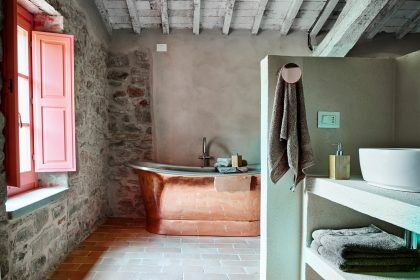 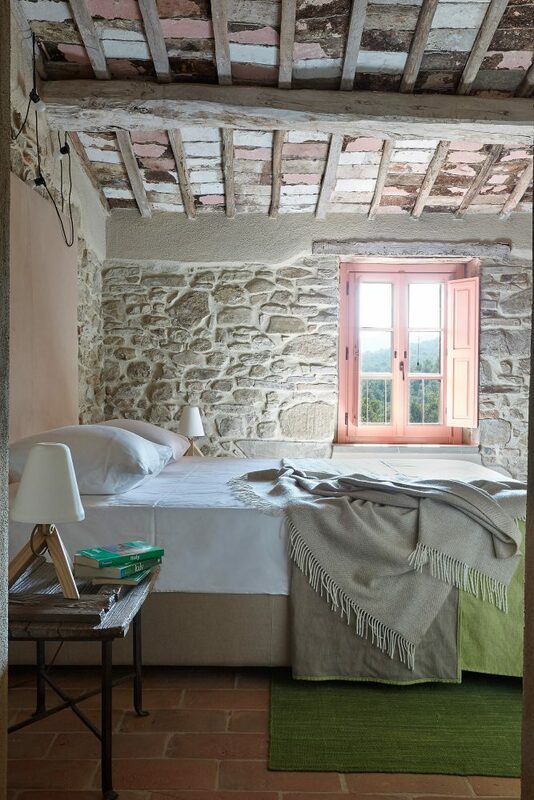 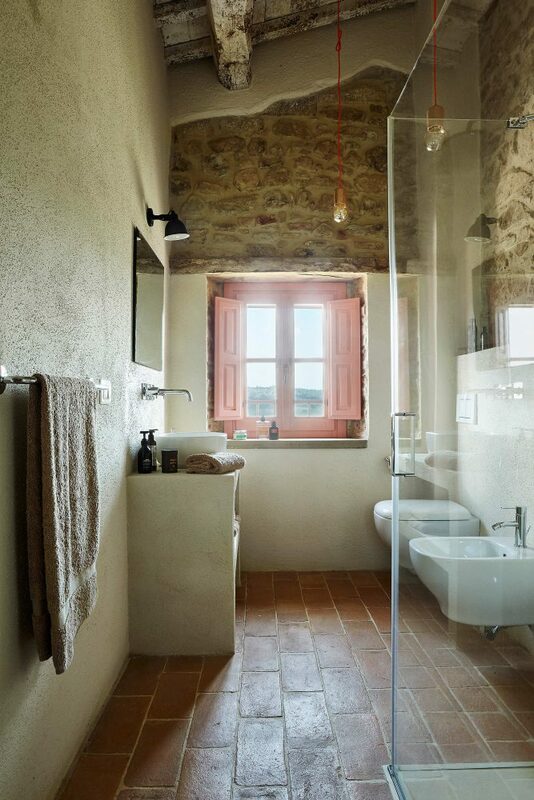 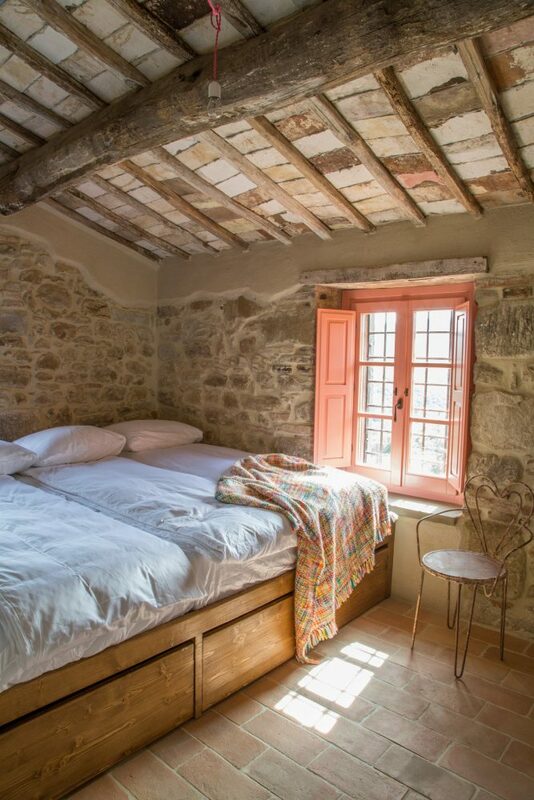 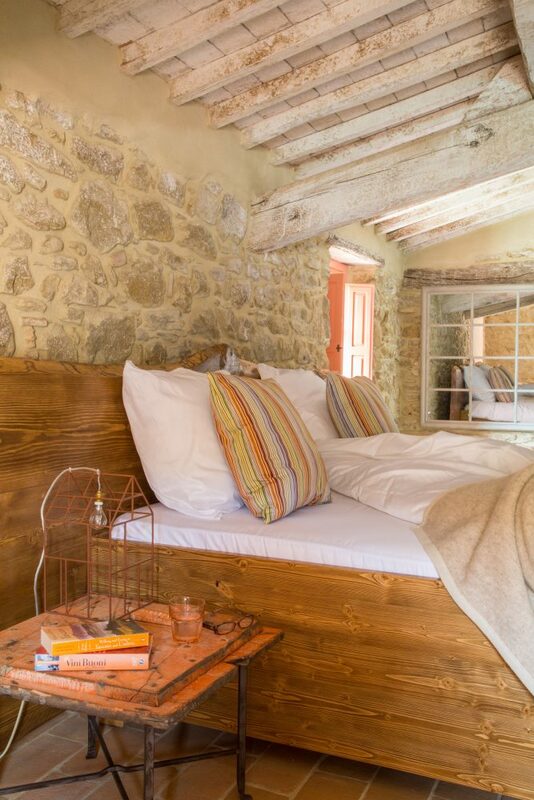 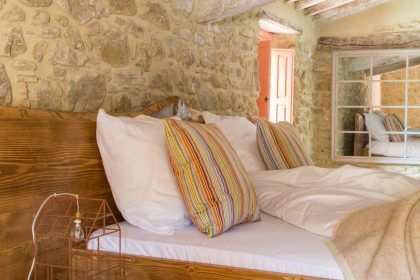 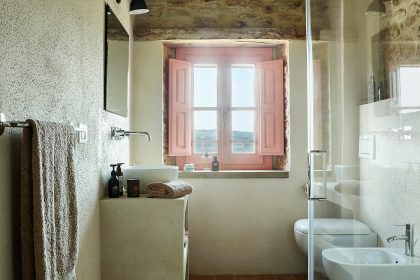 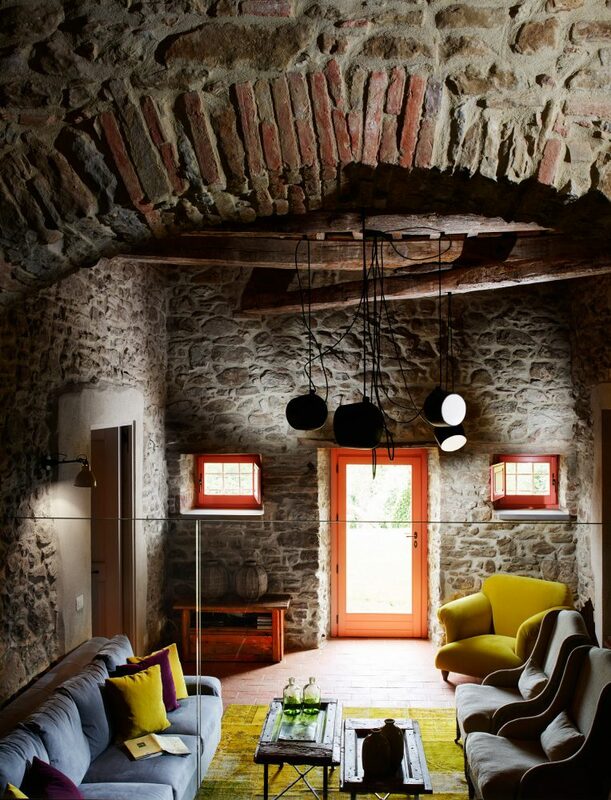 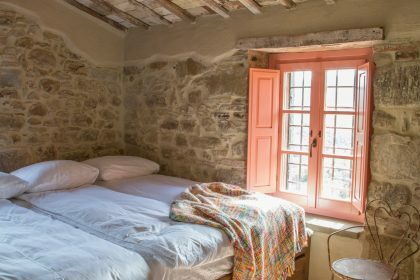 The house has exposed stone walls and beautiful terracotta floors, bedrooms are sumptuously furnished with simple colours, bright cushions shout out and complete the picture. 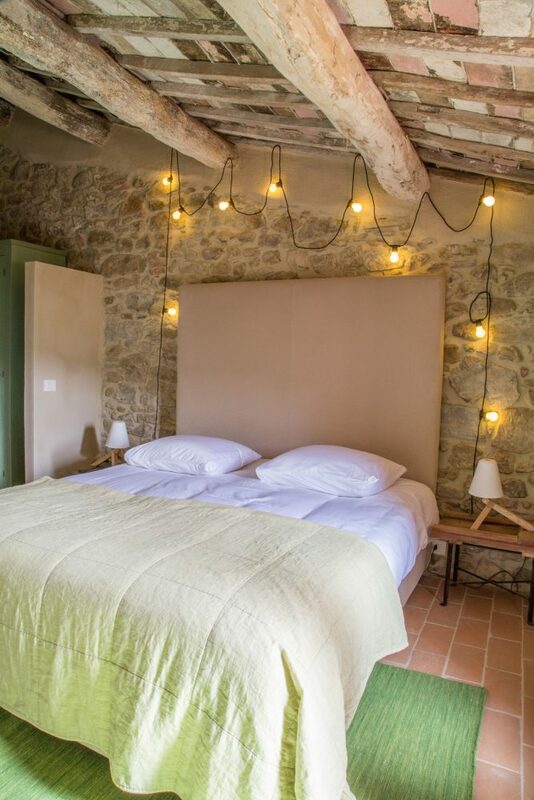 Waking up in one of these delightful bedrooms overlooking the sunny Umbrian valley is up there with one of our favourite experiences. 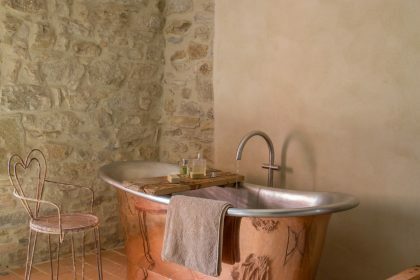 There is a copper bath in the master suite, properly stylish and delightfully unusual. 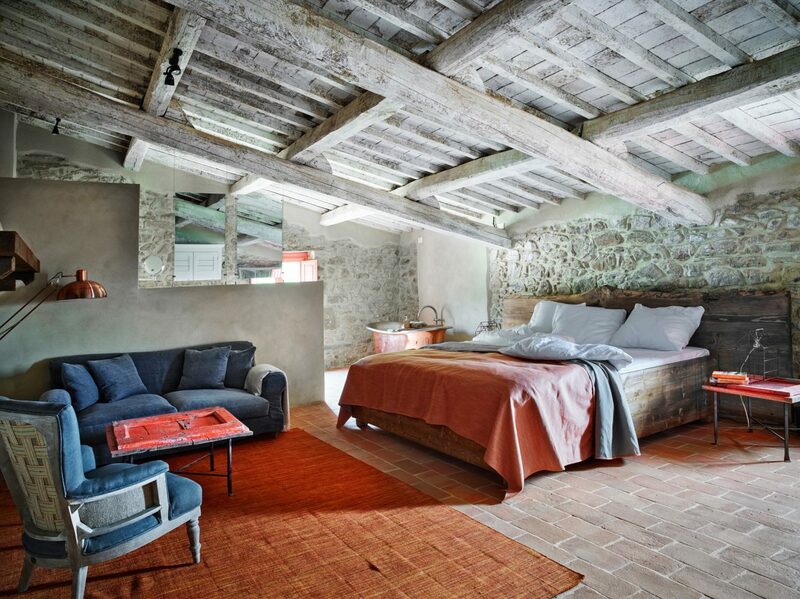 The other bedrooms are equally beautiful, each with its own en suite bathroom. 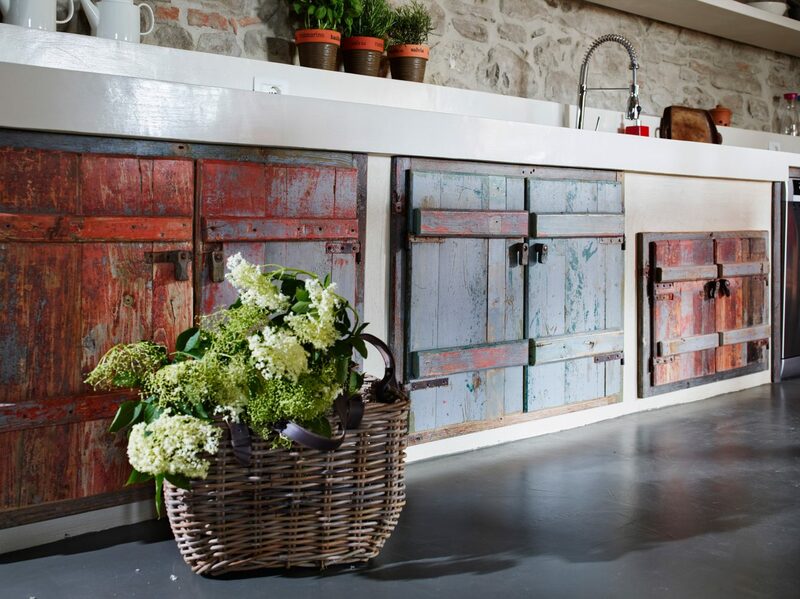 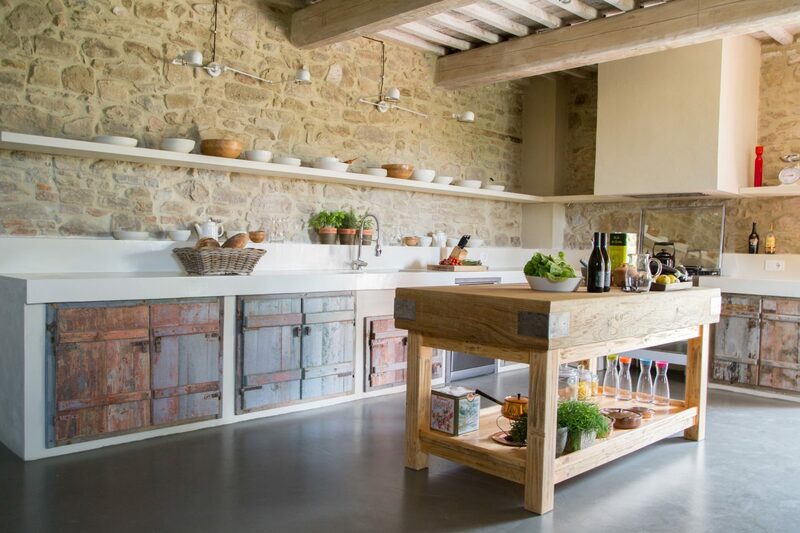 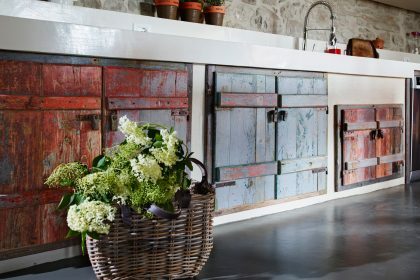 The kitchen is farmhouse in style – but with every gadget you could wish for. 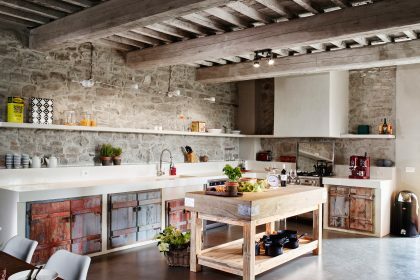 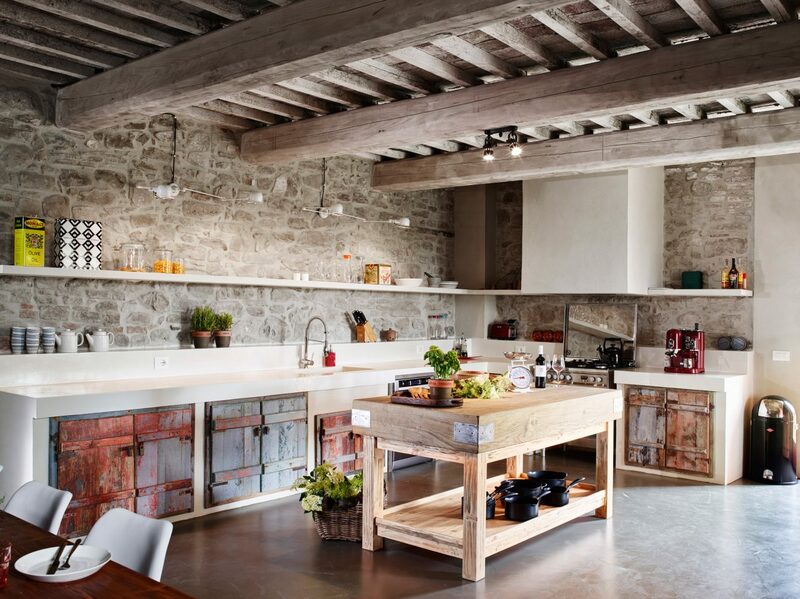 From its polished concrete floor to groovy coffee machine it is more like something out of a magazine shoot than a kitchen you’d expect to find in a rural Italy for rent. 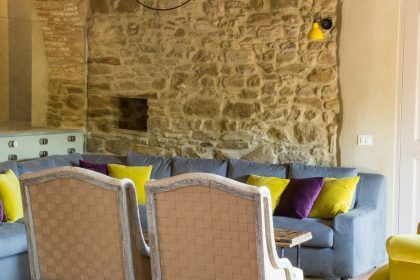 The house has 4 double bedrooms and a large children’s room which invites fun and noise (simply close the door if you don’t have children!). 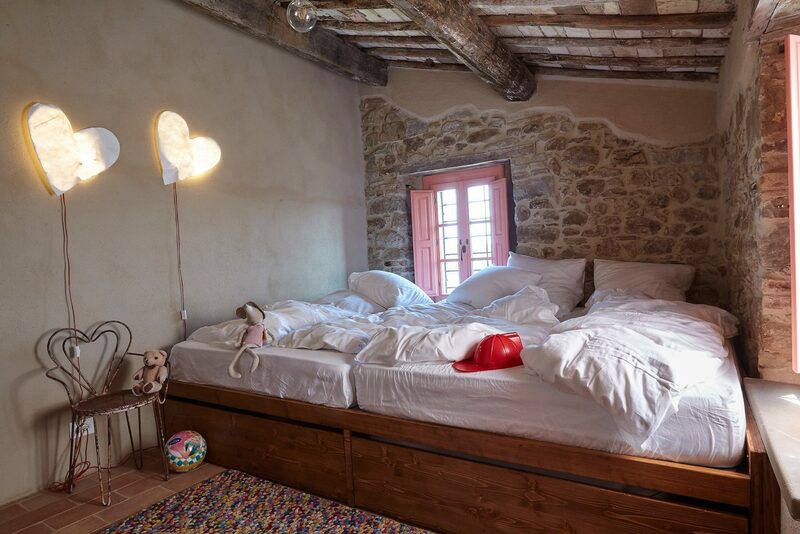 This house is heaven for small children, as well as the dormitory for 4, there is a whole room which is dedicated to soft play – heaven! 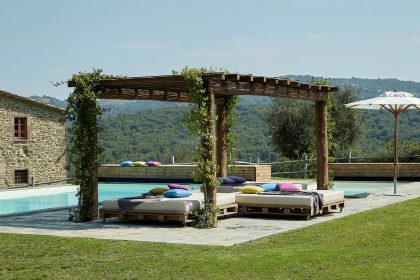 As well as this the swimming pool is completely fenced off (the owners have ensured there is chicken wire attached to the rural fencing so that it is totally toddler-proof) and there is a lockable gate too. 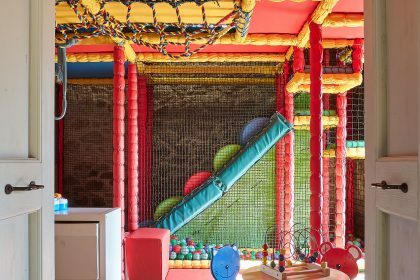 The trampoline, ping pong and other toys will ensure small people are kept happy all day. The pool and garden boast wonderful views across stunning Umbrian countryside towards the towns of Panicale and Lake Trasimeno. 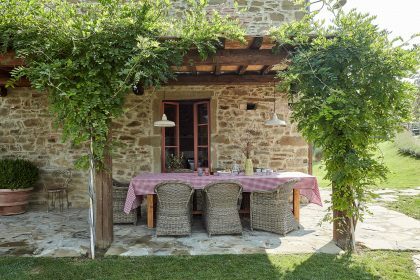 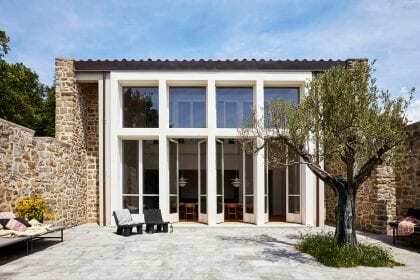 Tuscany is a mere stone’s throw away and this house would be the perfect spot from which to enjoy all the delights that both Tuscany and Umbria have to offer.